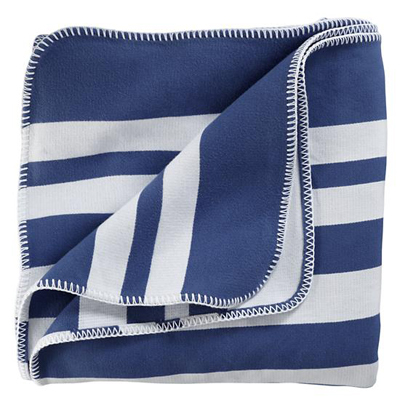 This super soft Blue and White Striped Blanket was inspired by the blankets you might find at a general store. Made from 100% cotton. Available in both Twin and Full /Queen. $99-$129. Buy here.